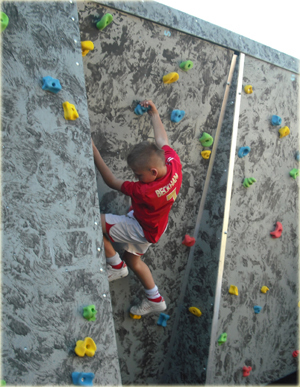 Bouldering and Traversing are challenging, exciting and an excellent way to improve balance, coordination and flexibility. Bouldering and Traversing is rewarding and a great way have fun! 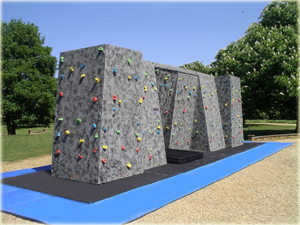 Multiple rock climbing faces with multiple routes and feature overhangs to ensure there is a challenge for all rock climbers. Full Customisation available – Banners, flags and fencing can be branded or sponsored with your own designs. Pefrect for product launches and company events.